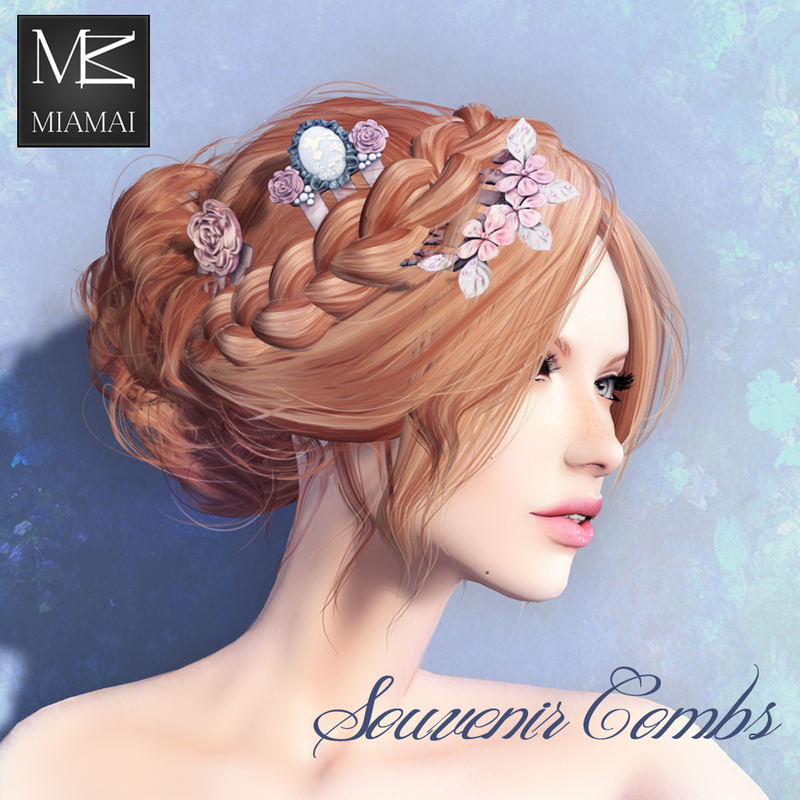 Cirque de Seraphim is a multi-sim, circus-themed event that MIAMAI has the pleasure of being a sponsor for. 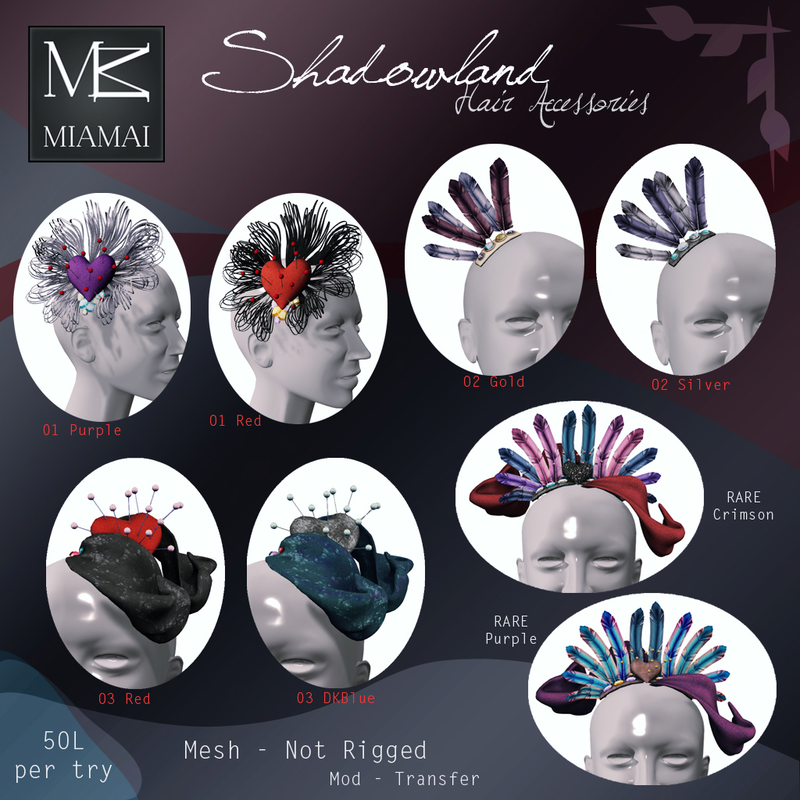 We have placed out 2 items and with each purchase of these items, MIAMAI is donating 50% of the proceeds to the ASPCA (American Society for Prevention of Cruelty to Animals). Cirque de Seraphim runs November 6th 2014 to November 26th 2014 and also has rides and games along the boardwalks. Come enjoy this amazing event with us and help us support the ASPCA at Cirque de Seraphim! The Vintage Circus Makeup and Lashes hearken back to a time when many clowns who even though they made us laugh, then turn around and make us weep for them just as easily. 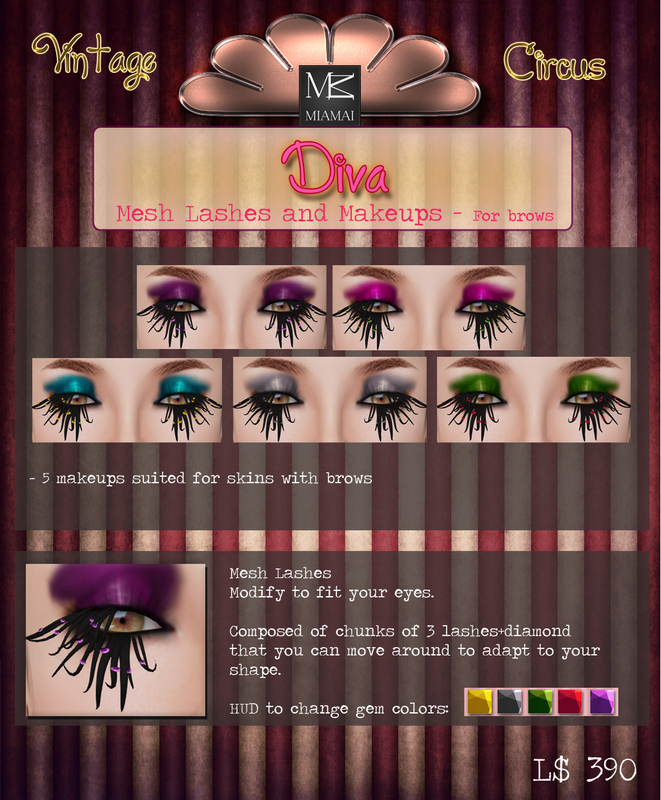 Miamai has captured the beautiful elegance of the vintage circus clown in the Diva and Clownette Makeups and Lashes. 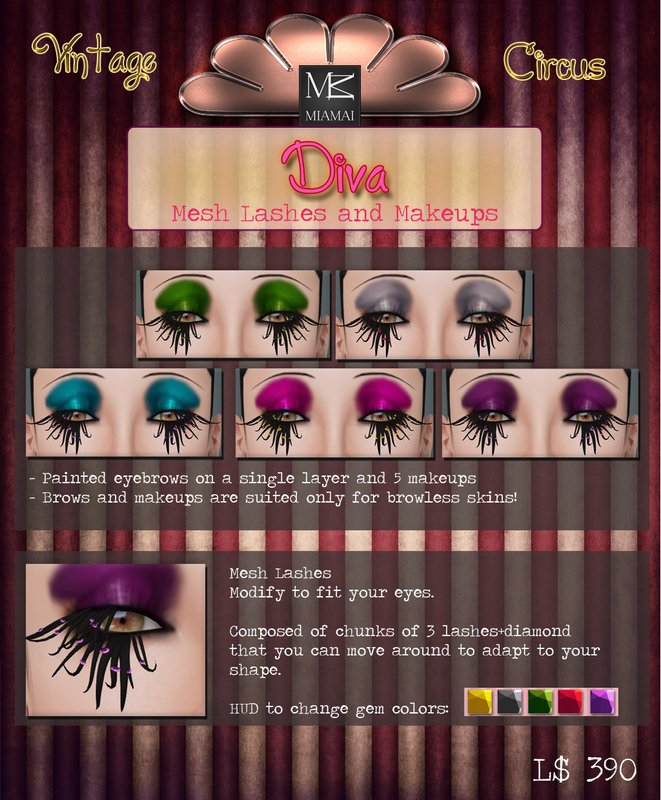 The Vintage Circus Diva Makeup and Lashes are available in 2 version no brow, for brows, and with 5 makeups. You will delight in the mesh lashes that allow you to move them around to adapt to your shape and come with a HUD for the gemstones that allows you to select from 5 colors. 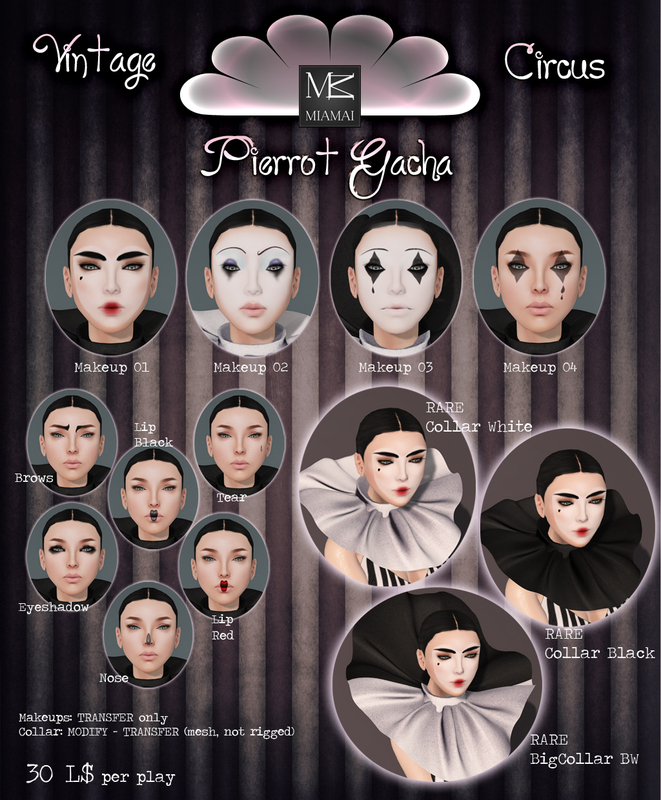 The Vintage Circus Clownette Makeup and Lashes come with five makeups and an painted brow layer for no brow skins. The mesh lashes are modify composed of an upper and lower that can be moved and stretched separately making them easy to adjust to your shape. 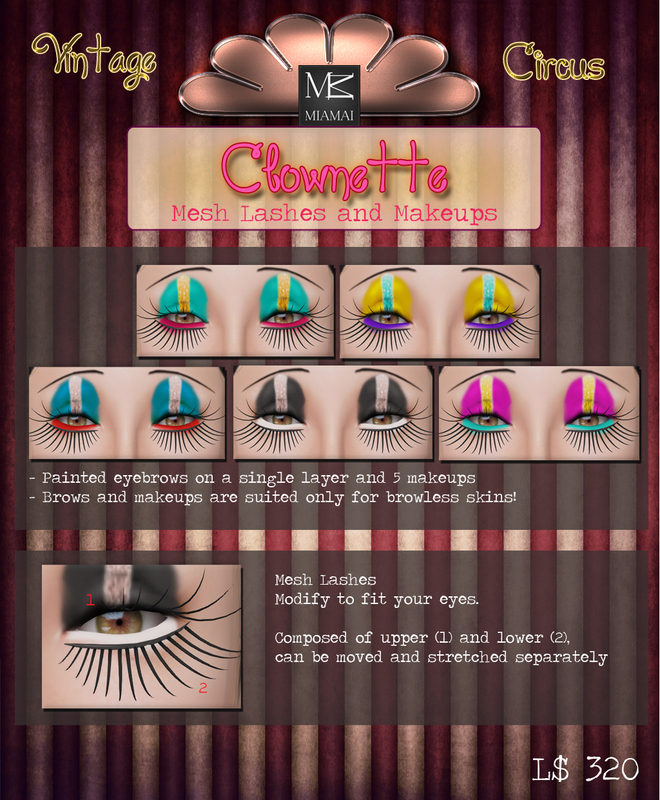 The Vintage Circus Clownette Makeup and Lashes is a 50% donation to the ASPCA item! 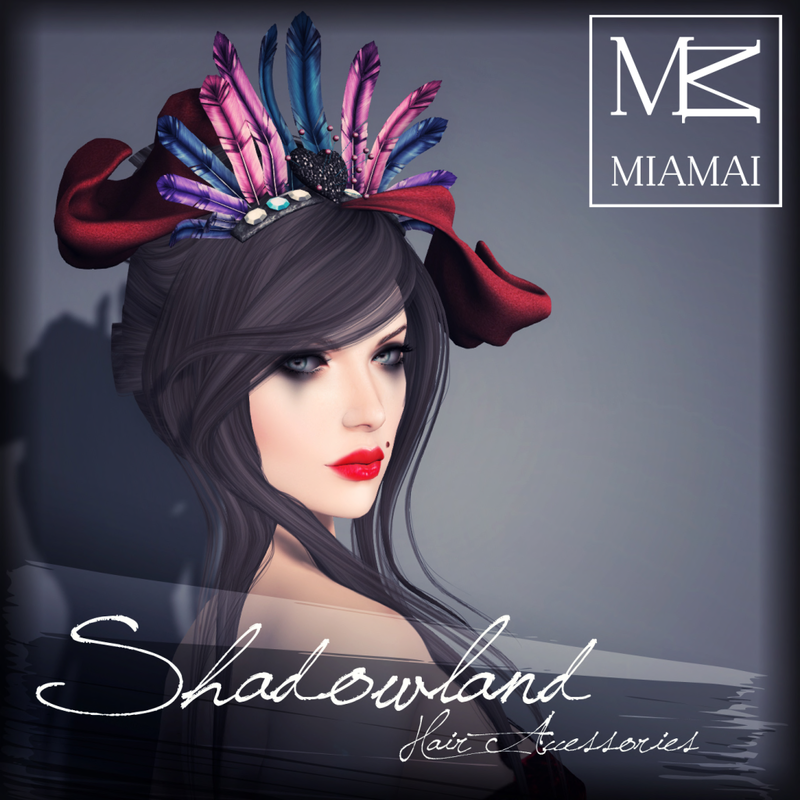 MIAMAI was invited to WE lOVE RP for November and our designers glimpsed the fairies in the forest then brought the visions to life for all of us to embrace with the War Queen Bug Crown. A Fairy is not fully armored unless she or he wears a helm for war! 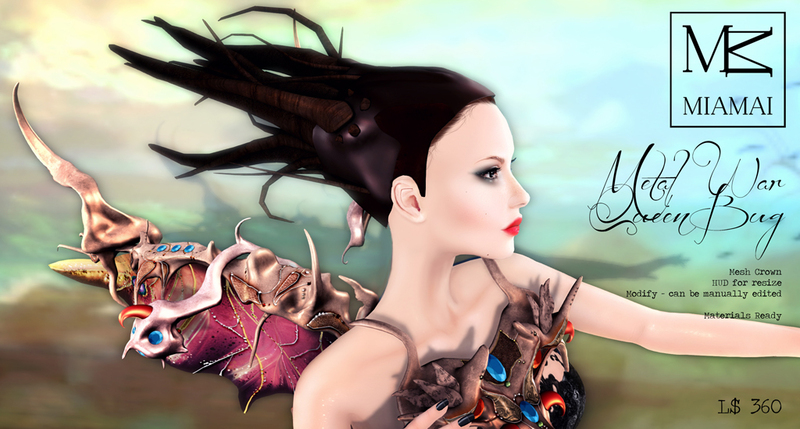 Fashioned of metals and thorns the War Queen Bug Crown is 100% original mesh and uses materials. Complete with a resizing HUD yet is modify so you can manually edit. For WE ❤ RP the War Queen Bug Crowns are discounted 40%. 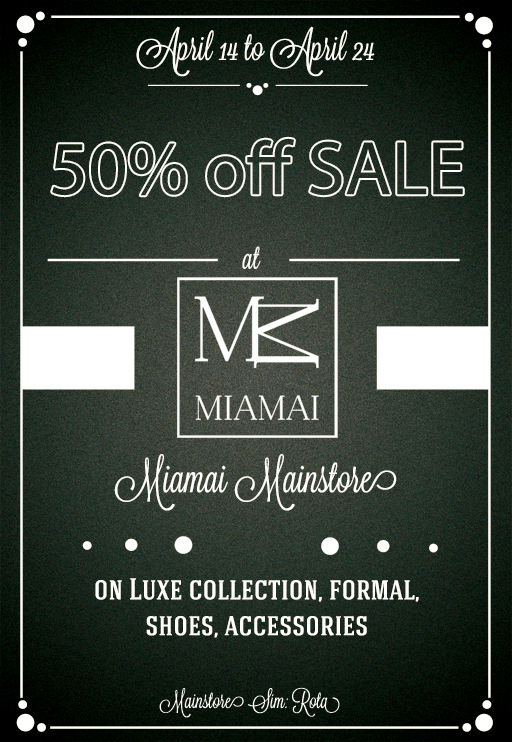 MIAMAI is at The Secret Affair! 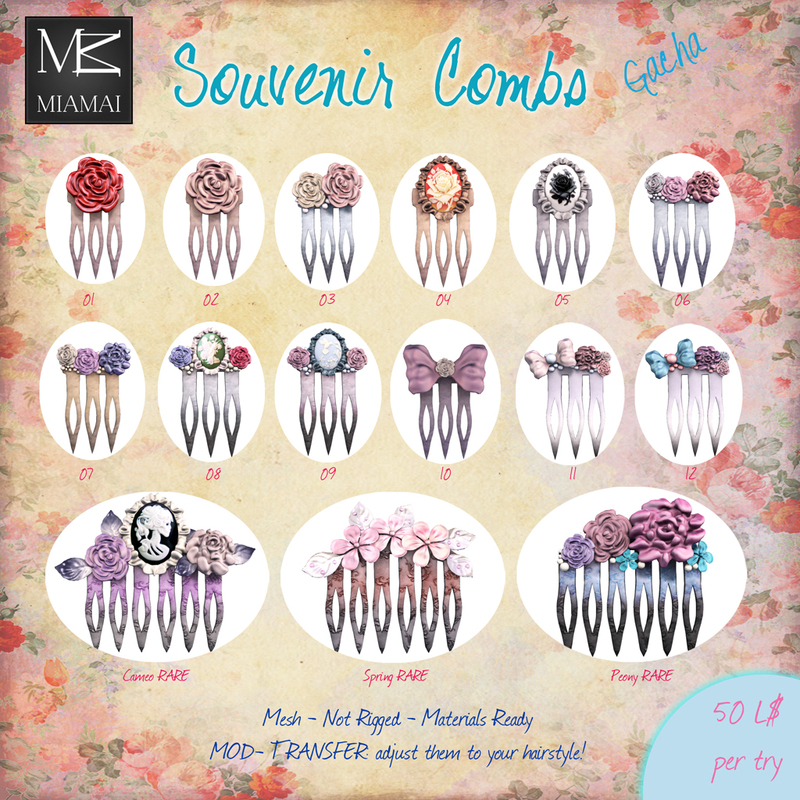 Beautiful 100 percent original mesh hair accessories created with feathers, ribbons, jewels, satin, and pins. Each one is modify, non rigged, and transfer so that you may adjust to fit your hair of choice or trade with your friends. Only available at The Secret Affair!